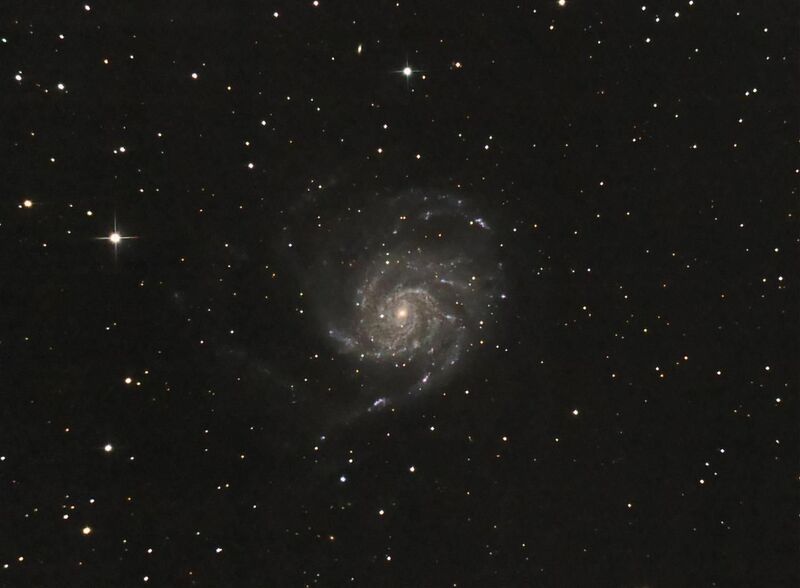 M101 is a beautiful spiral galaxy seen face-on in the constellation of Ursa Major. Its apparent size is nearly a full Moon, but its extent and fine spiral arms can only be observed through a large telescope. It is 27 million light-years away and is the brightest in a group of at least 9 galaxies.